You are here: Home / Commentary / MSC Seaside: Is The Caribbean’s Bold New Cruise Ship Right For You? MSC Cruises wanted to make a big mark on North America. It did so by choosing to christen, and then immediately homeport, a vessel in the United States for the first time. That vessel is the gargantuan MSC Seaside, which was christened in Miami in a lavish ceremony during the closing days of 2017. MSC Seaside represents an entirely new class of ship for the fast-growing European cruise line, and is the second new vessel that the line debuted in 2017, after the launch of the new MSC Meraviglia in Europe. From the outside, MSC Seaside is a ship like no other. Her unique design characteristics have resulted in her stern – purportedly patterned after the condos of Miami’s trendy South Beach district – being one of the most photographed at sea. The same holds true for her upper pool deck and 180-degree Waterfront Boardwalk; a sweeping space on Decks 7 and 8 that seeks to modernize the traditional Promenade Deck concept. From the outset, MSC said that this was a ship designed for the North American market. Avid Cruiser’s Aaron Saunders had the opportunity to hop onboard one of her Western Caribbean cruises last month to experience this new ship firsthand and in full operation. What he found was a solid cruise experience aboard a ship that was often as divisive as she was innovative. Indeed, battle lines are already drawn, with reviews trickling in that offer scathing criticism or with exalting praise. Bold new ships are often controversial, and MSC Seaside is nothing if not bold. This is a ship that may not be right for everyone, but our bottom line is that she offers a much-needed booster shot to a region of the world where the ports – and indeed the ships that sail to them – are more similar than not. Here’s Aaron’s take on MSC Seaside. Let’s get right to the chase: This is an international ship, first and foremost. Because MSC Seaside is such a game-changing vessel, she is attracting legions of customers from around the world. Now, this may be your cup of tea or not. I personally liked cruising with a more diverse array of passengers from around the world. Some folks I met did not appreciate this, preferring instead to be with American passengers. You should assess your own comfort level about this before travelling aboard MSC Seaside. This also goes for the food. I absolutely loved the buffet and couldn’t understand the complaints I heard about it. But the buffet is decidedly European in nature, with plenty of breads, cold cuts, cheeses and the like – all of the great things you’d find in a land-based hotel in Europe. But having said that, MSC offers a full American-style breakfast and its related ingredients at the buffet, so it’s certainly not like you’re going to go hungry by any means. And if you’re in the mood for simpler fare, burgers and hot dogs are available in the afternoons up at the Biscayne Bay Buffet on Deck 16. 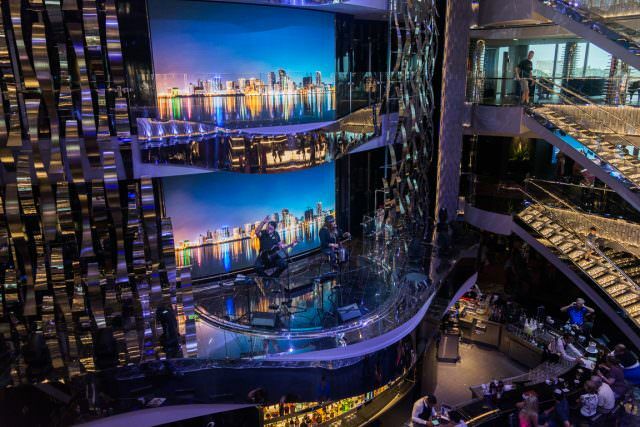 In keeping with the fact that MSC’s passenger base is distinctly international, MSC Seaside’s nightly production shows rely more on music and visuals than spoken word. Running at 40 minutes apiece, several showtimes are offered each evening. 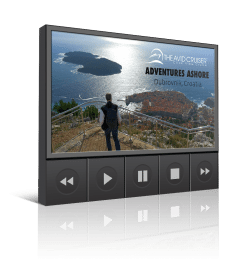 These digestible chunks allow you to take in a production show without missing out on the other great events going on throughout the ship. The entertainment on MSC Seaside is fantastic. The costumes, sets, and overall production design blows most of MSC’s mainstream competitors out of the water. There is nothing else quite like these shows at sea. I’ve generally stopped seeing production shows on other ships; if I see one more “Tribute to ABBA” or “Motown Songbook,” I’m going to scream. MSC Seaside’s entertainment couldn’t be further from that. Now, here’s the corollary to that: If you like seeing the Motown Songbook, you may find the entertainment on MSC Seaside is a letdown. As with much of the ship, your views on it and its worth will all depend on your expectations. MSC Seaside offers guided cycling excursions using regular and electric-assist bicycles in nearly every port of call. Guided by the ship’s own MSC cycling experts, my 43-kilometer ride around Costa Maya was the most enjoyable thing I’ve done to-date in the Mexican port. For $55 per person, it was money well spent. MSC Seaside offers so many live musical acts each evening that it practically gives Cunard’s Queen Mary 2 a run for its money. 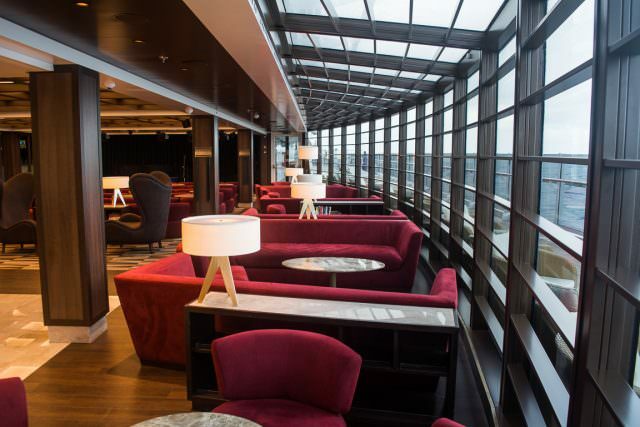 From live jazz in the Seaview Lounge each night to a DJ spinning tunes accompanied by a solo sax artist in the atrium, the musical entertainment on MSC Seaside is a home-run. The Yacht Club experience aboard MSC Seaside is absolutely stunning, with a private dining room, lounge, and resort-style pool deck complete with pool, hot tubs, bar, loungers, and even a small buffet. 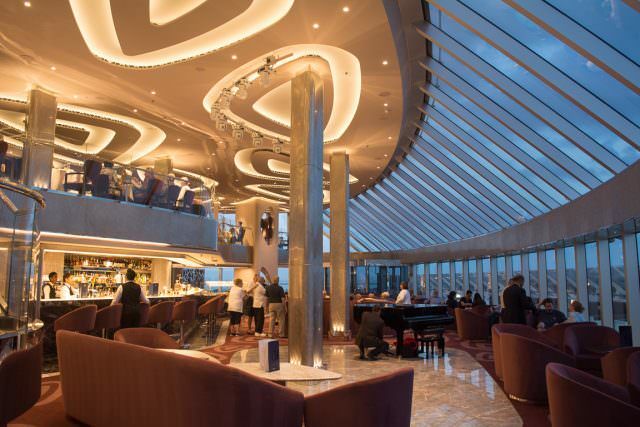 The ultimate indulgence, the MSC Yacht Club Restaurant offers superb views and friendly service in an intimate, dine-as-you-wish setting overlooking the exquisite Top Sail Lounge and the ship’s bow. MSC’s ship-within-a-ship concept has been taken to new heights aboard MSC Seaside. I was granted day access to the Yacht Club for the purposes of reviewing it, and I found a cozy enclave away from the noise and the buzz down below, coupled with luxury-line-esque service that was friendly and exacting. MSC Seaside is a ship with some pretty pronounced flow problems. “Flow” is industry-speak for how well passengers can move about the ship. 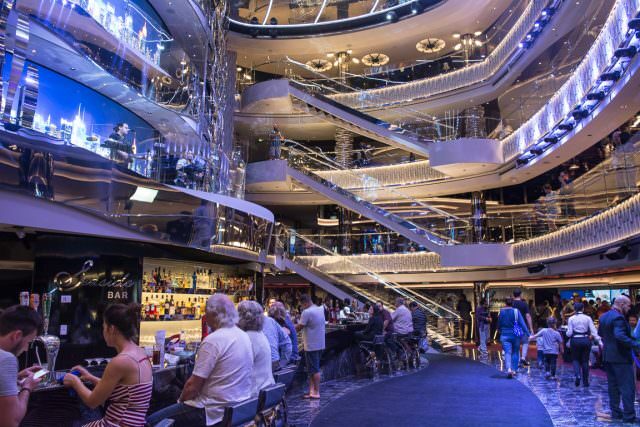 Aboard MSC Seaside, the ship’s somewhat disjointed layout and lack of printed deck plans help to create some awful bottlenecks filled with confused cruise passengers unsure of where to go next. This is most obvious around the Miami Casino, as guests work out where all those flanking staircases lead to, and on the Deck 5 level of the atrium, which is simply too small for a ship of this size. That the Guest Relations Desk is on this deck doesn’t help matters at all; long queues frequently stretched clear into the elevator bank on my sailing. 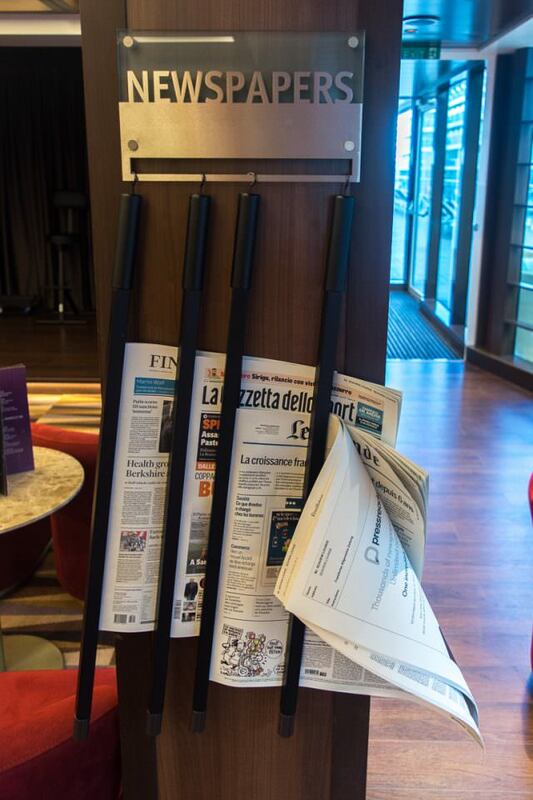 The most egregious issue with MSC Seaside can be found on Deck 16. 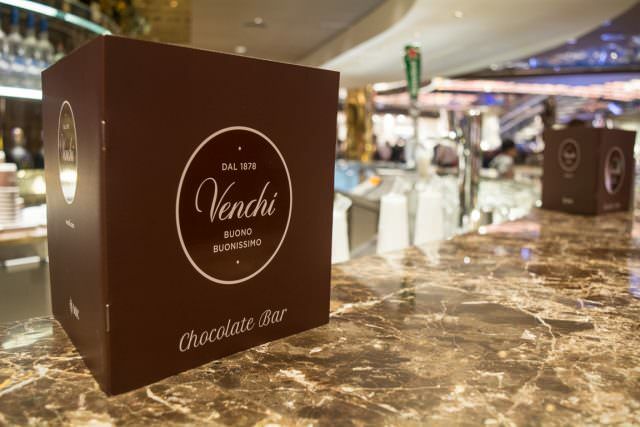 Due to the location of the galley spanning the full width of the ship that is serving the specialty restaurants forward and the Biscayne Buffet aft, it is impossible to walk the length of Deck 16. If you came up the forward elevator bank by mistake and you’re trying to get to the buffet, you’ve got to go down a deck, walk all the way aft, take the stairs up, and walk forward again. You can use Deck 17 if you want, but you’ll have to walk through the madness of the Jungle Pool area and then risk a soaking outside as you pass through the Forest Aquaventure waterpark in order to reach the aft elevator banks. The lack of printed communication outside of the MSC Daily program is an issue. Guests embark the vessel without a printed deckplan like you’d get on other (smaller) vessels, and there is little to no printed information in guests’ staterooms telling them that, for instance, they’re on the hook for registering their credit card themselves to activate their onboard account; that complimentary reservations are required for most production shows each evening; that drink packages cannot be purchased while the ship is still in Miami (the reasoning behind this wasn’t adequately explained to me); or that those cool MSC RFID-enabled wristbands can be purchased quite easily in the Gift Shop. Now, catering to multiple languages is no easy task, and I do understand that printing all of this information presents a logistical challenge. But the queues I saw building at Guest Relations for the first two days of the voyage probably could have been dramatically reduced had folks had some sort of resource to guide them through MSC’s admittedly different embarkation procedures (which, to its credit, was remarkably smooth and speedy). MSC Seaside is big, bold and different. She is technologically advanced, trend-setting and game-changing. Unfortunately, her uniqueness and European pedigree may not appeal to some North American passengers that are used to having a cruise experience designed solely for them. 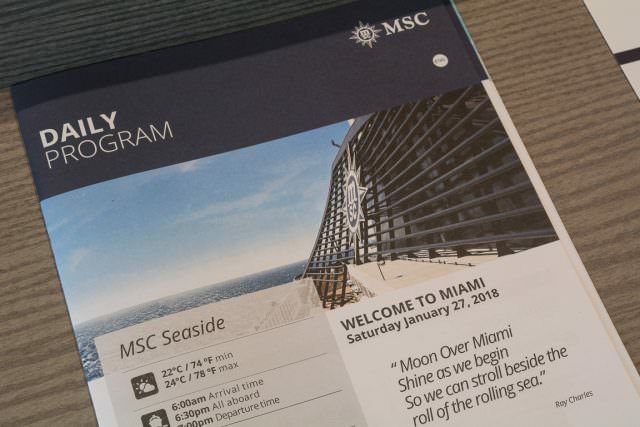 MSC still has some growing pains to work out with regards to catering to the North American market, and after seven days onboard, it is clear that this ship hasn’t entirely achieved those objectives. 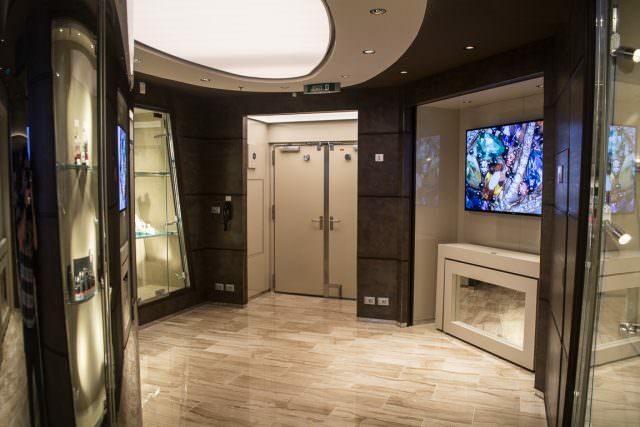 Other than naming decks and public rooms after Miami and its environs, much of the onboard experience remains a distinctly European one. This will either appeal to you, or it won’t. During my weeklong Western Caribbean cruise, I met equally as many folks who were having a fantastic time as folks who swore they’d never sail with the line again. I also met legions of loyal and repeat MSC passengers from around the world who were eager to try MSC Seaside for themselves, and who were not disappointed. MSC Seaside is a tough ship to place recommendation on. 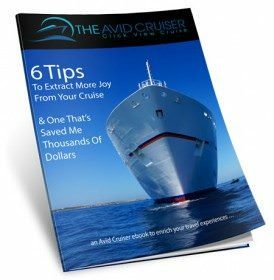 It is imperative that you consider your personal wants and needs in a cruise before booking. Are you okay with different languages being spoken? Do you find an international mix of passengers, standards and cuisine to be exciting, or frightening? 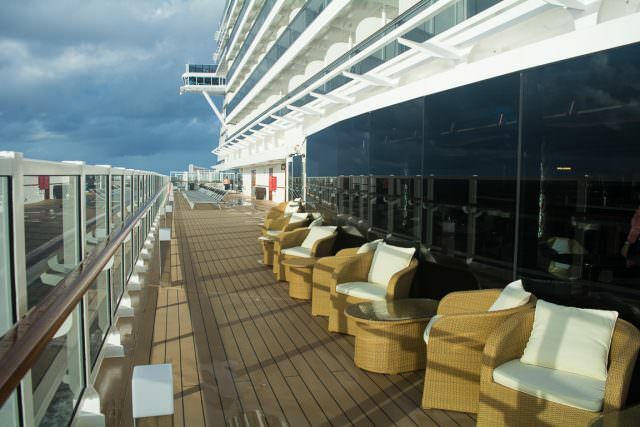 How comfortable are you on a big ship that is unlike anything else afloat? In the end, all the makings of a great cruise are onboard, including the staff of MSC Seaside, who could not have been nicer, more gracious or more professional. Unlike the big North American-based lines, your personal likes and dislikes will play more of a role in whether your own voyage aboard MSC Seaside is right for you. 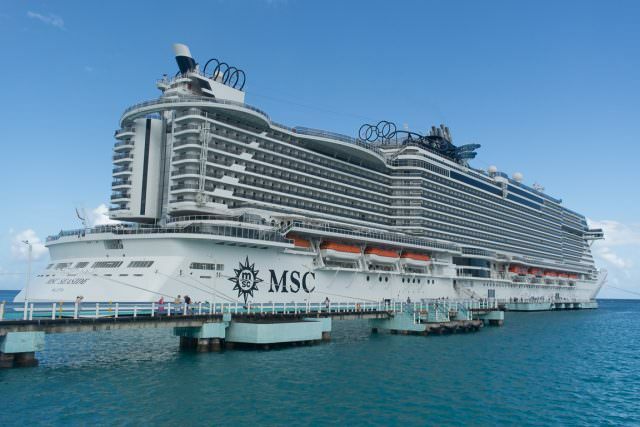 My husband and I are excited to board MSC SEASIDE on April 20, 2019-April 27, 2019. I’ve been on 14 cruises since 2004. Mostly as a Platinum Carnival passenger, a Princess Cruise and a Celebrity Cruise. Quite frankly, without sounding crude or snobby, I would rather have that nice mix of international passengers than tons of kids, folks that do not have social graces, that typically can only afford a Carnival Cruise. I typically see on Carnival: LOADS of kids that run crazy since the parents probably tell them to get lost, these kids LOVE TO hit all the damn buttons in the elevators, people cutting in line at the buffet because they’re too rude to wait in line like the rest of us, kids running up and down the hallway while screaming, kids taking over the adult only hot tubs which means rules are not enforced, people leave plates of food and drinks on the stairs, outside elevators, inside the elevators. My list can continue, but I’ll stop there. I can not wait to see how this cruise line differs from Carnival. I’m glad that you mentioned the limited printed communication and the “Flow Problems” I will make sure that we are prepared!